Viper V Cam Elite Trousers Review! Hey everyone! After wearing my Viper V Cam Elite trousers for a fair few woodland and CQB skirmishes, I've finally managed to get round to writing a quick review on them for you all! 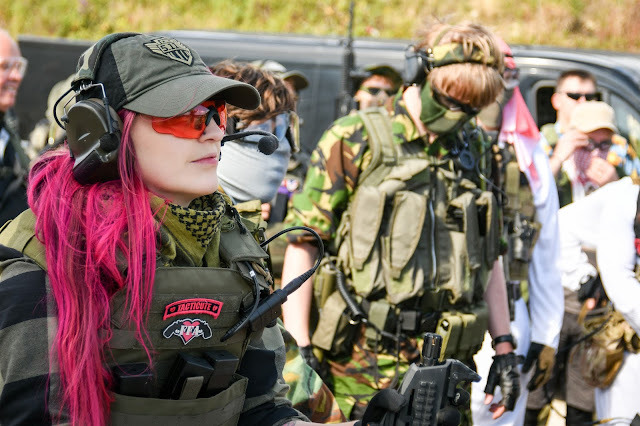 Now unfortunately I've had some technical difficulties with my camera this week so I've illustrated this post with a product image from Viper and Military 1st and also in game photographs! 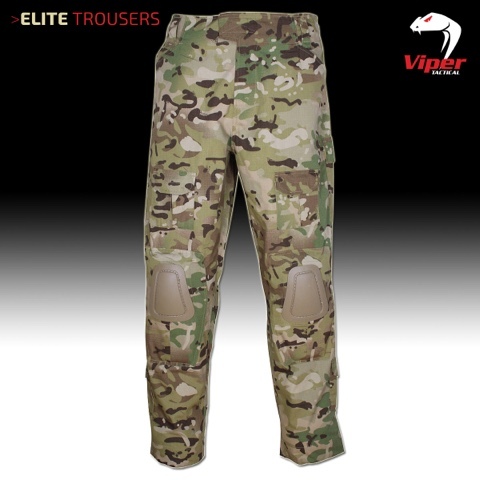 I purchased my Viper Elite Trousers from Military 1st, for £38.65 with free P&P which was quotes as 3-5 working days (http://www.military1st.co.uk/bvtrsel-viper-tactical-elite-trousers-v-cam.html). They arrived quickly, within 2 working days ready for my skirmish that weekend - very pleased with that! When I chose the Viper trousers I was looking for a pair of adjustable trousers in Multicam with built in knee pads that were under £60 and at just under £40 these fit the bill perfectly. They are made in sizes 28" up to a 42" inch waist and are made from a mix of Polyester ripstop and cotton which is not only comfortable but feels strong and durable. The material also dries easily as proven at The All Wales Event in the soggy hills of Llandrindod Wells in the Welsh countryside! The most important factor is of course fit. I was pleasantly surprised when I first tried them on as they fitted me really well - they have some great features that make them completely adjustable including a Velcro/zipped fly, elasticated waist adjustment, internal kneepad adjusters, a velcro knee retention strap and an adjustable velcro ankle fastener. I was easily and quickly able to adjust them to exactly what I needed - which is a much welcome change. I'm sick of having to just 'make do' or altering unisex combats to fit me properly. My favourite feature of the Viper V Cam Elite trousers is definitely the built in neoprene lined ABS removable knee pads. 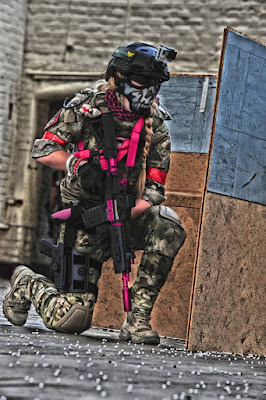 I had only used Velcro knee pads once before and loved being able to kneel without getting beebs stuck in all the nooks and crannies of my knees and of course, being able to power slide but I find the issue with Velcro knee pads is they have a tendency to work themselves loose and the next thing you know, they're around your ankles! The built in knee pads on the Viper Elite trousers are easy to take out and pop back in and even have Velcro to keep them in place. 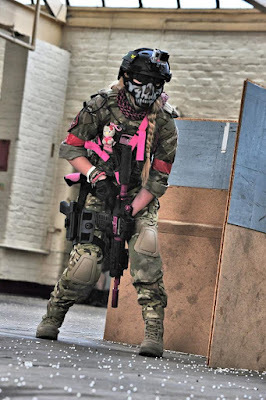 The only issue I have found with the knee pads is because of my height - I'm only 5"4, even with the retention strap as lack as possible to have the knee pads low enough, they don't completely sit on my knee so when I am sliding about the fabric just below the knee pad has become a little scuffed - someone a little taller wouldn't have this issue. 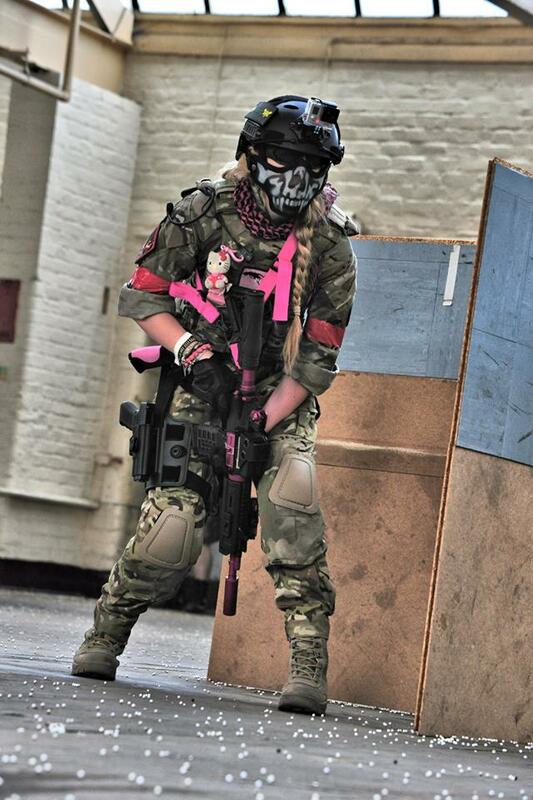 I am a CQB player and I like to play hard and have really put these through hell in every skirmish I have played so far, and despite a few little scuffs the cotton/polyester rip stop mix has held up well. In regards to aesthetics the Viper V Camouflage is very crisp and saturated with colour. 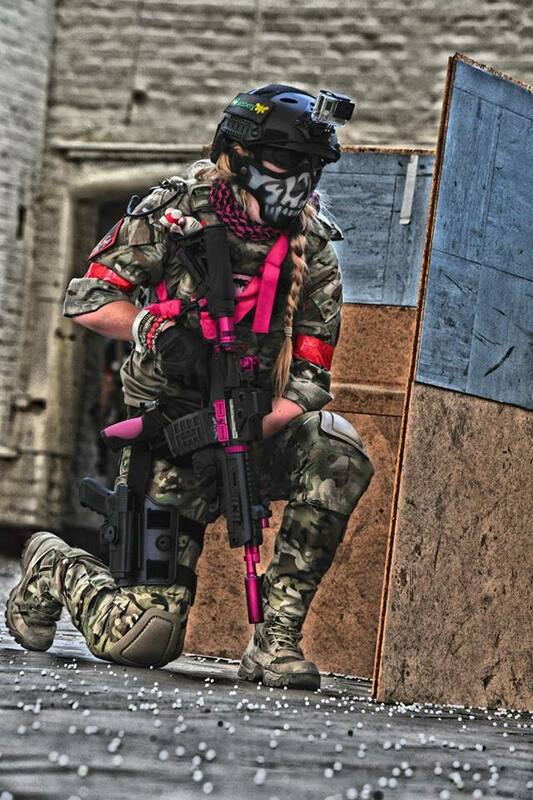 I wear them with a MTP UBAC and my Warrior Assault Systems Crye Multicam Plate Carrier and it doesn't look a miss, it blends nicely into the sea of multicam pattern variants. The trousers also have a plethora of pockets for storage, ranging from the two front hand pockets that house the internal knee pad adjusters, two back pockets, two expandable thigh pockets, two expandable cargo pockets and lastly the two ankle utility pockets making them a practical and useful piece of kit to wear on the field. Overall, I'm really happy with my Viper V Cam Elite trousers. They are made in a vast array of waist sizes and are completely adjustable to fit a variety of different body shapes and sizes - something very important for women in our sport. At just under £40 they are excellent value for money, as a mid price range product they will suitable for most load out budgets without compromising on quality of the fabric or build. The knee pads are my personal favourite feature, and along with the great storage capabilities it makes them a useful piece of kit.